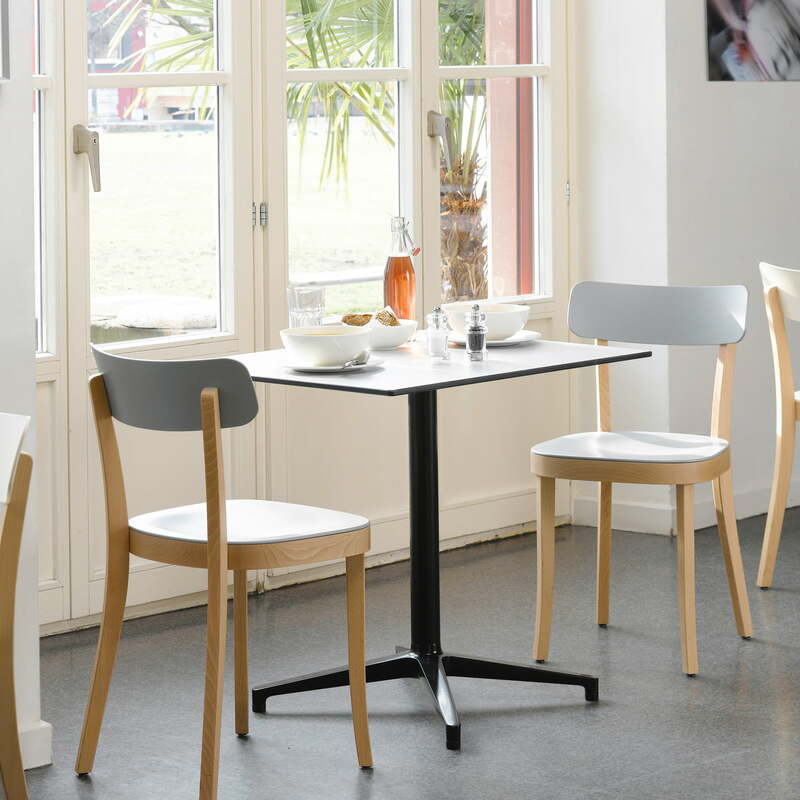 Jasper Morrison renews the classic plain wooden chair category with the Basel Chair, as it has been industrially produced for the last 100 years in many varieties and large amounts. 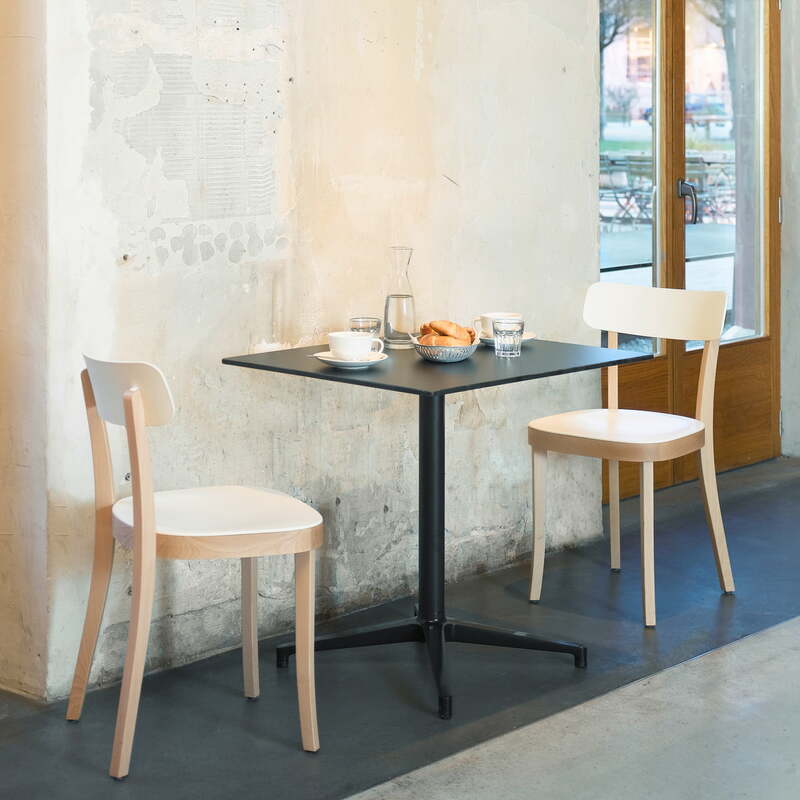 The Basel Chair has a significantly improved level of seating comfort thanks to this combination of materials and in its two-coloured versions is also particularly attractive to look at. 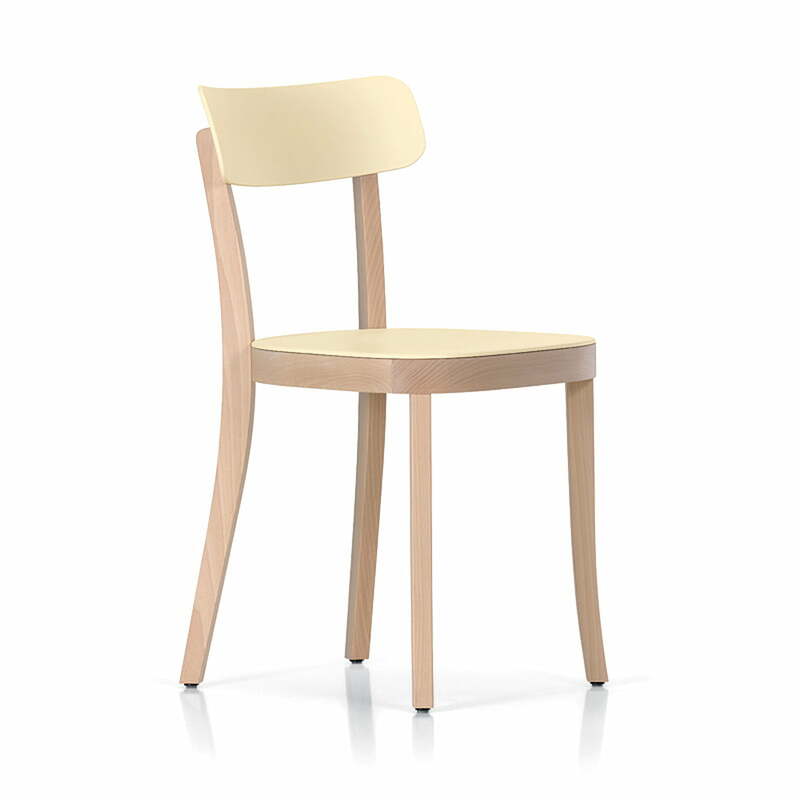 The harmonically balanced proportions catch the eye at first, then the chair reveals its decisive innovation on detailed examination: The seat rest and back rest are made of plastic and can, in comparison to pure wooden chairs be more organically shaped, structured on the surface and in total made thinner, making them more flexible. 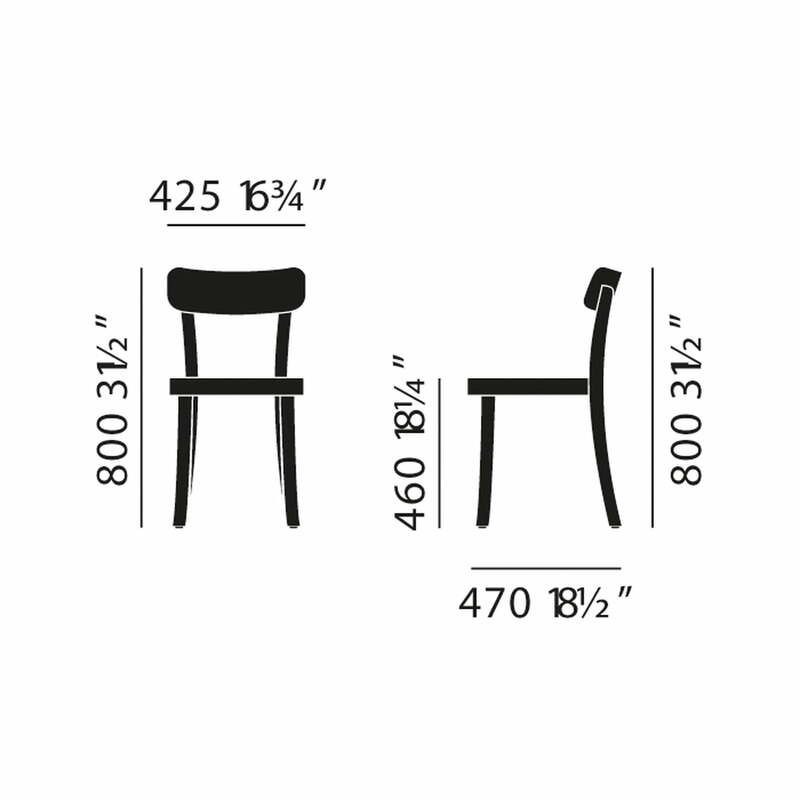 The designer Jasper Morrison was oriented to classic wooden chairs for his design, changing them at his own discretion: “My Basel Chair for example, is based on an old, classic form of the German Frankfurt chair. 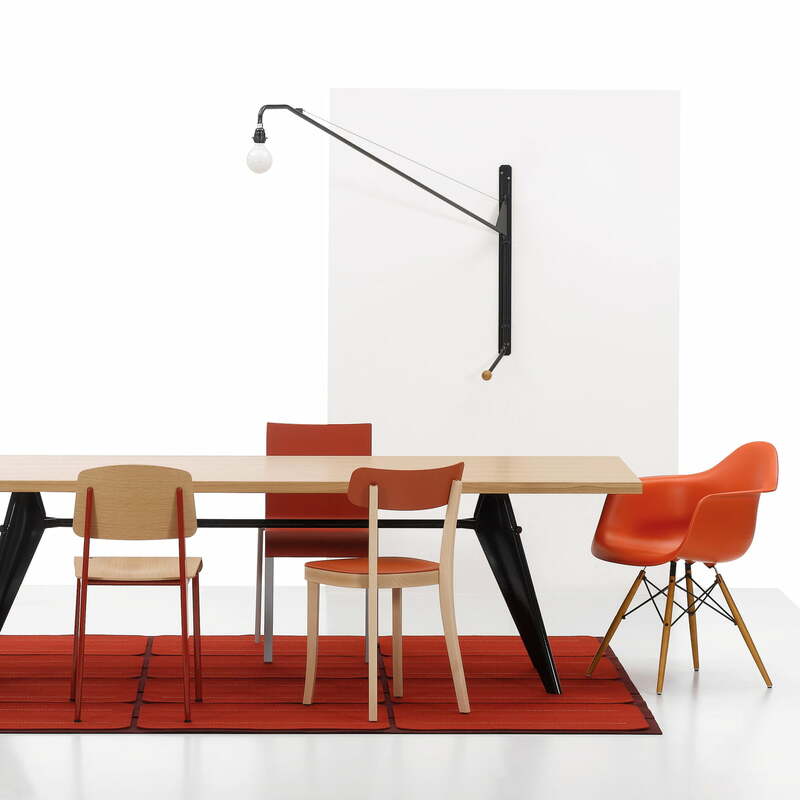 My design revitalised it. This isn’t a joke but it is irony. 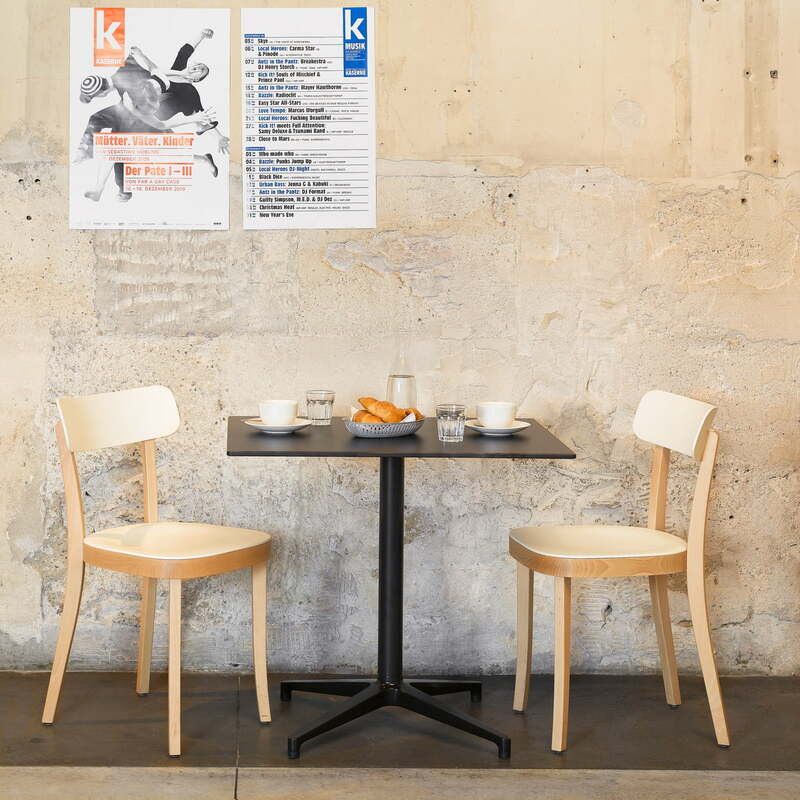 For me, objects always have to posses recognisable characteristics,” said the designer Jasper Morrison about his Basel Chair, which is produced by Vitra. 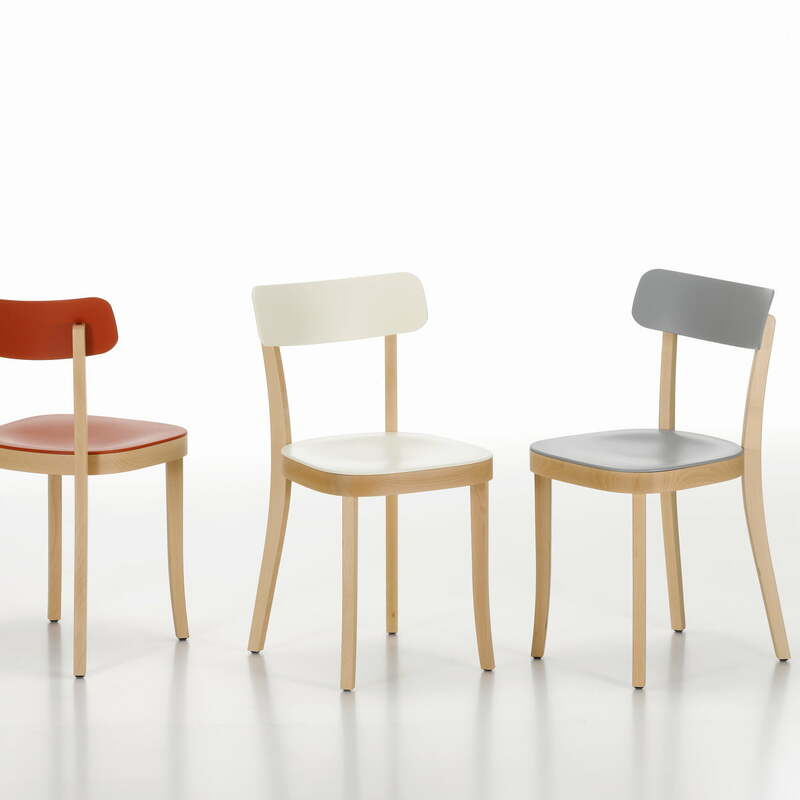 Natural beech or dark stained beech frame, the seat rest and back rest are made of coloured ASA plastic.